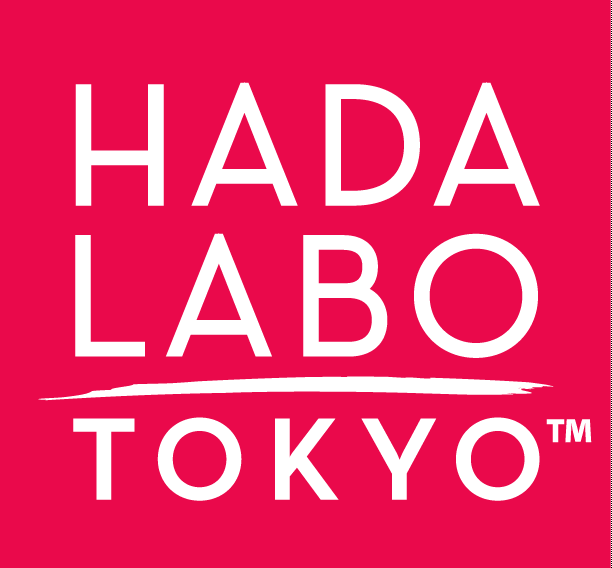 Hada Labo tokyo™ Anti-Aging Hydrator 1.7 fl. oz is rated 4.4 out of 5 by 80. Provides deep hydration with Super Hyaluronic Acid™ that works in synergy with Retinol Complex and Collagen to repair and fight the signs of aging. Formulated to help increase skin’s firmness and elasticity, and reduce the appearance of fine lines and wrinkles. This serum-like hydrator absorbs instantly so skin feels velvety smooth, tighter, and renewed. Apply a few drops to palms and pat onto face and neck until thoroughly absorbed. Retinol Complex: Boosts elastin and collagen production to perfect the skin’s appearance and help reverse the effects of aging. Beta-carotene: A supplement to the Retinol Complex and antioxidant that helps reduce skin irritation and increase cell turnover. Collaplus G: A proprietary soy peptide that helps promote skin renewal and boost collagen and hyaluronic acid production. water, butylene glycol, glycerin, beta-carotene, BHT, caprylic/capric triglyceride, carbomer homopolymer, dipropylene glycol, disodium EDTA, helianthus annuus (sunflower) seed oil, hydrolyzed collagen (marine), hydrolyzed hyaluronic acid, hydrolyzed soy protein, hydroxyethylcellulose, iodopropynyl butylcarbamate, limnanthes alba (meadowfoam) seed oil, methylisothiazolinone, PEG-20 sorbitan isostearate, PPG-10 methyl glucose ether, retinyl palmitate, sodium acetylated hyaluronate, sodium chloride, sodium hyaluronate, tocopherol, triethanolamine, zea mays (corn) oil. Rated 4 out of 5 by Kazziepickles from Very lightweight I really like a lightweight moisturizer, especially in the summer and this is definitely lightweight! It absorbs exceptionally wel! It leaves my skin feeling naturally hydrated and refreshed. There is absolutely no residue left on my skin after it's absorbed. For me this will make a great summertime moisturizer because my face tends to be more oily in the warm weather. For winter, I would most likely have to apply a different, thicker, moisturizer in addition, as my skin dries out in winter. Overall, this is a great product, my only complaint would be that it might not be hydrating enough for my dried out winter skin but my summer skin is loving it! Rated 5 out of 5 by Violeta from Finally good hydrator I bought this product less than a month ago and i can say I am satisfied for now. I use it as a serum, twice in a day, underneath daily gel cream and makeup, only few drops for my face and neck (thats's enough! ), sometimes alone when I'm in a hurry. It leaves my skin well hydrated, it has no any fragrances and it's lightweight formula which is great for my sensitive and reactive skin. I can say it's a little sticky so I have to wait until it dry so i can continue with my daily routine, but I don't mind it because it doesn't need an eternity for that. I will use it again, that's for sure, and I will buy Skin Plumping Gel Cream as well, thanks to this Hydrator! Rated 5 out of 5 by mei88 from Great lightweight, hydrating lotion This is a great non-greasy moisturizer for my sensitive, acne-prone skin. There is no strong fragrance, and it glides on so smoothly with no irritation and no new breakouts. The texture is a slightly sticky liquid, similar to an essence, but once applied, it dries pretty quickly leaving your skin smooth and hydrated. I use this right after I wash my face to restore moisture back into my skin and then follow with a serum and moisturizer. It works very well under makeup and is hydrating enough to use alone during the day, but I would layer a moisturizer on top at nighttime or if you have drier skin. So far, loving it! Rated 5 out of 5 by Erdlen830 from Lightweight and great for super sensitive skin I can't use anything heavy or filled with parabens on my skin as it is super sensitive and acne prone. I use this at night and it has made my dry and oily summer skin feel normal again. Also no breakouts here!! I love the combination with retinol, my skin responds great to it. I would definitely buy this product. Also note that I have tried just about every product in the market in the past 20 years for acne prone skin. I was using garnier moisture bomb which is my fave cheaper brand moisturizer but I feel this one is lighter and better for my skin. I received this product for my unbiased review. Rated 4 out of 5 by glitterSmitter from Rejuvenates the skin I use this as the first step of my skincare routine i.e. as the essence. Its very easy to use. I pump a pea size amount into my hands, warm it a little and then apply all over my face and neck(dont forget the neck!). It absorbs almost instantly without feeling greasy or heavy on the skin. My skin does feel plump after using it. It has no scent and has been working well with my oily, acne-prone skin. I do look forward to using the product. All in all, I definitely see Hada Labo tokyo™ Anti-Aging Hydrator becoming a staple part of my routine. Rated 5 out of 5 by akatuski811 from Great moisturizing serum This serum moisturizer does not feel thick, yet it is very moisturizing. It does not have any scent, which is great for my sensitive skin. I have been using it in the morning and at night for a month now, my skin feels hydrated and soft. I pair it up with the eye cream from the same line, they work very well together. This moisturizer works well underneath makeup as well. Overall, I really like this serum moisturizer and would recommend it to anyone who has sensitive skin. Rated 4 out of 5 by Peej1081 from Incredibly light, but still moisturizing! I was so surprised by the texture of this moisturizer. It's almost like a watery serum, which makes application a little tricky. But it sinks in instantly and provides a ton of moisture without a sticky, greasy feeling. My skin feels plump and supple after each use, and I feel like it's already softening my fine lines. And a little goes a long way, giving a lot of bang for my buck. I'm looking forward to using other products in this line! I received this product for free in exchange for my 100% honest review.